You can now select and purchase my books from the Bookstore under the links. In the near future, I plan to write more ebooks. Please leave a nice review on Amazon if you liked them and found them useful! Update: I start to rethink the whole idea of selling my intellectual properties through Amazon Kindle Robery because there are too many problems already by doing it for many months. Later on these issues and I made a note on the sticky on the home page too. 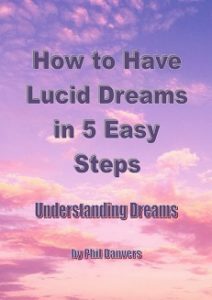 How to Have a Lucid Dream in 5 Easy Steps – Understanding Dreams (newest version). Purchase it in Amazon’s Kindle Store here. The LD book (second titled but the same book) is now available on other platforms: Barnes & Noble, Apple, Kobo, Scribd, Tolino, 24 Symbols, Playster, OverDrive, Bibliotheca, Baker & Taylor. You can buy it quickly on Payhip here. Read about my quick LD book review article here. 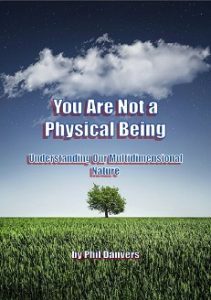 You Are Not a Physical Being – Understanding Our Multidimensional Nature (newest version). Purchase it in Amazon’s Kindle Store here. Read about the original, inspiring article here. Or the book review here. Out-of-Body Experience – Explaining the Phenomenon (Newest version). Purchase it in Amazon’s Kindle Store here. Read about the OBE book review article here. 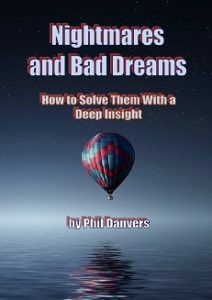 Nightmares and Bad Dreams – How to Solve Them With a Deep Insight (newest version). If you don’t get my email response: check your email address (mistyping it for me) and spam folder! The Workshop menu will be offline later for two main reasons. People are either not using it so much, being serious OR if they are, they tend to give up the process soon and disappear. I can’t continue with this attitude. I would suggest beginners to start reading the Focus Model articles to gain a basic understanding of our multidimensional nature. You can then build on a foundation. The site leads you into an extended world of multidimensional life. I save time for those who want to learn with what I share here, these are existing issues and pieces of information with mostly first-hand experiences which I could test for myself and validate. I’m fully aware that many people are not even there to comprehend any sentences I wrote and this is not some esoteric and spiritual BS which rips off anybody. You will learn a lot. The site and comments are protected by Captcha and by manual moderation. Older articles will be updated over time from the oldest ones towards the later ones. Some may have newer titles and many edits to correct them. Edited on 7th of April in 2019. Author phildan1Posted on September 15, 2017 April 7, 2019 Categories Uncategorized4 Comments on Site News!